Spotify has just started rolling out its sponsored playlist function in Malaysia. With Spotify’s sponsored playlist, brands will now be able to sponsor the music platform’s owned and operated playlists to reach and engage target audiences through music. “Today, many are looking for content that would complement and represent moments in their lives. 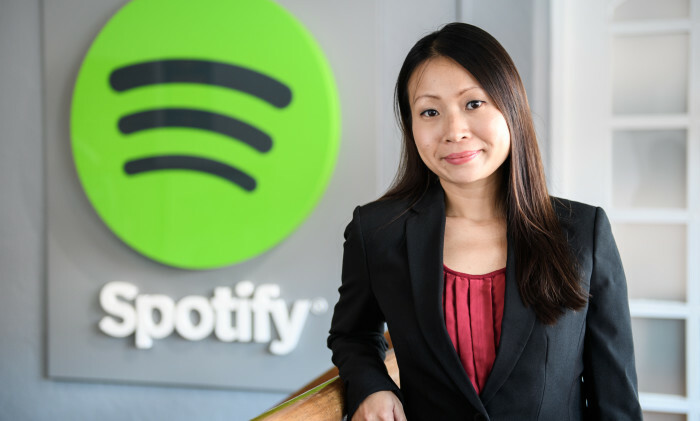 We see how our users are not just passively streaming music but they are sound tracking their lives based on moments that are relevant to them,” Joanna Wong (pictured), head of business marketing for Spotify, APAC said. “We live in a highly noisy time and space. Ads are continuously being pushed to us from all platforms, but is it truly effective? When you are able to target specific moments, you are building the bridge between the brand and the user. With sponsored playlists, we hope to help brands connect with their target audience at the right time,” added Wong. This is not the first time that Spotify’s playlists has made headlines. Most recently, in an impressive example of creative recruitment, as well as excellent marketing, Spotify has offered a job to President Barack Obama. A somewhat cryptic job ad on the website reveals that the company is looking for a “president of playlists”. Although the ad does not specifically name Obama, it drops plenty of hints as to who they created the position for.